Samsung wants to revolutionize the tablet segment, by launching a slate with a sliding keyboard, one that might look like the mockup below. This is the Samsung Gloria, a device that will become real in the near future and it might run Windows 7. 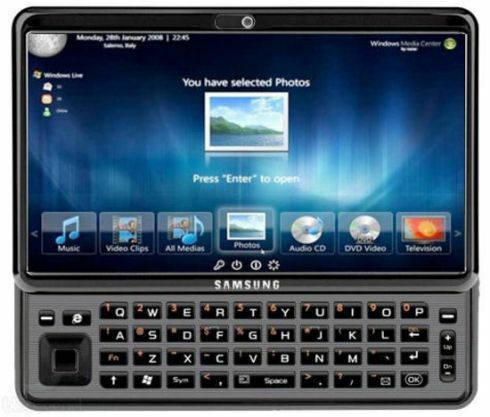 Samsung Gloria is supposed to feature a 10 inch touchscreen, a full QWERTY sliding keyboard and we should expect it on the market in March or April 2011. By the looks of it, the tablet concept comes with a front camera, possibly one at the back and a pretty cool nav pad.